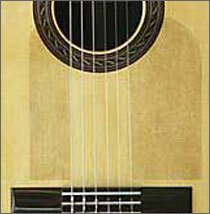 Classical guitars have delicate finishes, which are easily damaged by fingernails. Guitar Armor™ protects the finish on your guitar without requiring any adhesive because it’s made from static cling vinyl. Apply Guitar Armor™ before playing your instrument and remove after practicing. You can reuse it over and over again. When applying Guitar Armor, leave a slight edge overhanging the soundhole so it can be removed without having to insert a fingernail under the the static cling vinyl to pull it off. Purchase Oasis® OH-12 Guitar Armor today. Only $6.95 plus freight.